Odds didn’t look great for Class, Patrick Ness’ dark young adult show set in the world of Doctor Who, when its first season debuted to abysmal viewing figures—and then Ness himself jumped ship a few months ago. But now we officially know that adventures of the gang of Coal Hill students will not be making a return. No, [we’re not bringing it back]. There was nothing wrong with it – I thought Patrick did a great job, he explored an amazing world. In honesty, it just didn’t really land for us on BBC Three. Things sometimes don’t, and I’ve got to make decisions about what we’re going to do from a drama point of view. There are always times when you do something and you have to decide that it’s not going to come back. Class is just one of those things. 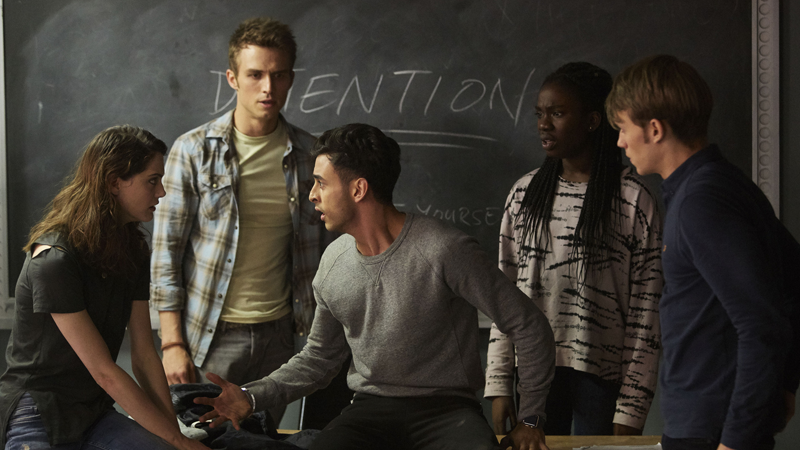 Class was made for BBC Three in the UK, a teen-focused BBC Channel that had recently transformed into an online-only service before Class premiered, meaning there was little chance for it to gain the same sort of audience it could’ve had actually broadcasting on TV. When the show was eventually aired on BBC One, it was only done so in late-night slots as random double bills, making it almost impossible to maintain a decent audience. It wasn’t helped that the US broadcast of the series was saved for months and months after it first aired in the UK, only premiering when Doctor Who’s 10th season broadcast on the channel earlier this year. It’s a shame, because Class—as weird as its premise was—actually had some promise once it got past slavishly trying to remind you it was connected to Doctor Who. The further removed it got from its parent show, the bolder it could be, and the fact that won’t be able to get explored further is a little sad. Farewell, Class, we hardly knew ye.